Mandy (lead), Maxine (bass), Kath (baritone) and Irene (tenor) form the wonderful quartet Quizzical! Kath joined the quartet in February 2018 and is looking forward to competing at the Labbs Quartet Prelims with Quizzical in June 2019! 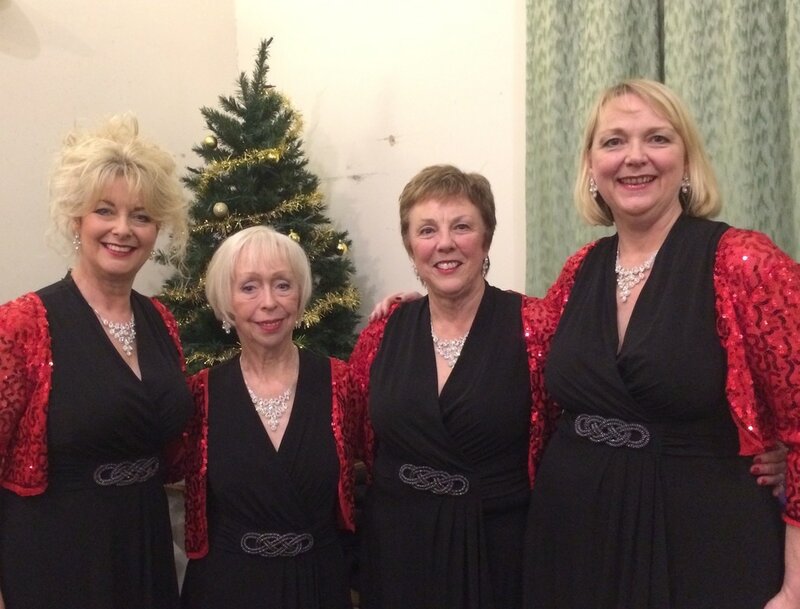 Claire, Wendy, Gill and Kate started singing together in January 2016 and officially became "Rococo" in the early summer. 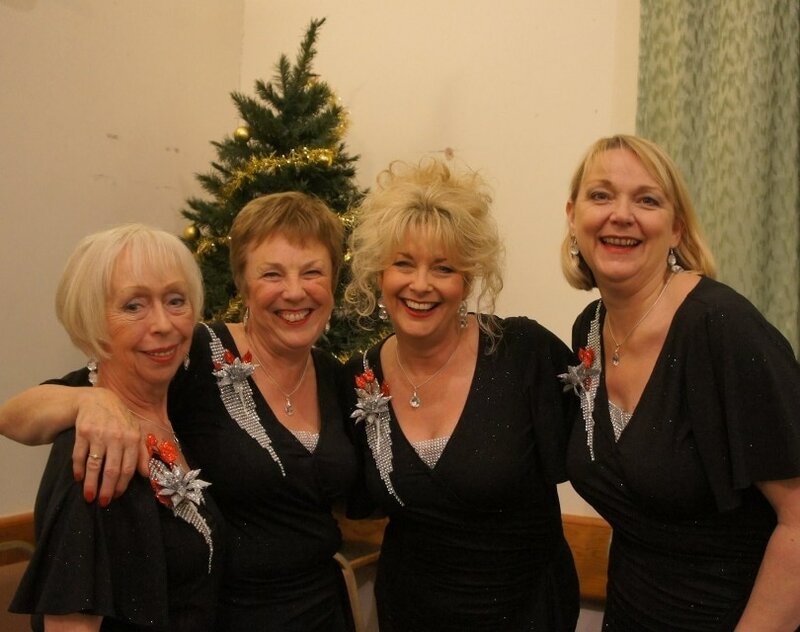 "Together we notch up approximately 45 years of Acapella experience...ranging from Kate with 20 years, to Wendy with 3. We LOVE to sing, and will do so at every available opportunity - whether it's at home or out and about. 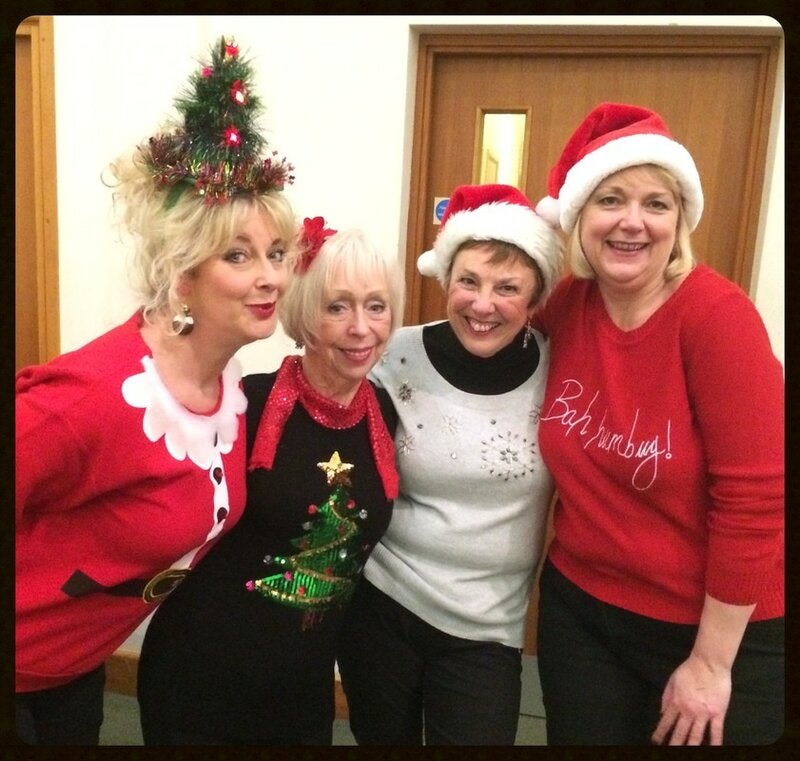 We are extremely fortunate in that we have four very tolerant and supportive partners, who have come to realise that a meal out with "the girls " is never going to be a quiet affair! Impromptu singing at the table has lead to requests for "Happy Birthday" and people joining our table just to listen. 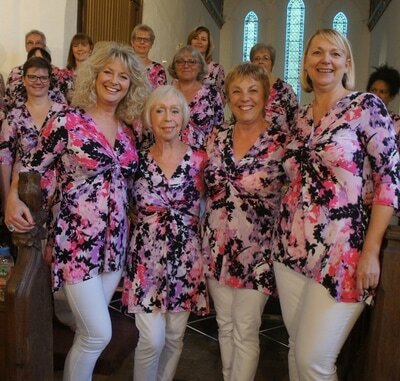 Our close friendship enhances our close harmony singing and none of us could imagine not singing together. We are still in the very early stages of developing our quartet, and who knows where the future will take us..."
and together they form the wonderful Octet Double Trouble! Double Trouble sang in the East of England Coop Tent at the Royal Norfolk Show at the end of June this year. 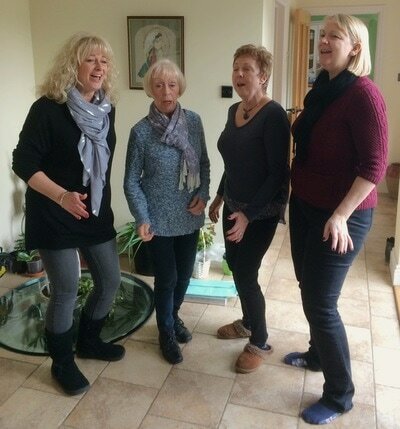 ​They did the chorus proud as always!